Speech Recognition Specialists since 1992! 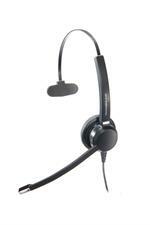 Wired monaural headset: standard solution for contact center; Noise-cancelling microphone filters out background noise; Wideband audio processing for natural sound transmission; Choose from soft leather cushion or light porous cushion; Ergonomic design. High quality professional microphone designed to work with Dictaphone products, integrated with NaturallySpeaking Medical Editions. 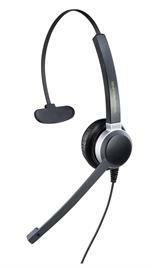 Good noise canceling properties -- buttons control NaturallySpeaking functions including mic on/off. Dragon Medical Practice Edition 2 lets clinicians dictate three times faster than typing — with 96-99% accuracy or better — accelerating EHR adoption, while improving clinician satisfaction and the quality of documentation. 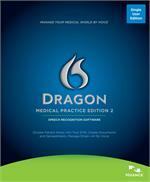 Upgrade to Dragon Medical Practice Edition 2 from Dragon Medical Practice Edition, Dragon Medical Small Practice Edition 10 and Dragon Medical 10. The all-new Dragon Professional Individual drives productivity by enabling fast, accurate dictation and transcription with the right level of customization. Create, edit and format documents by voice so you spend less time on paperwork. 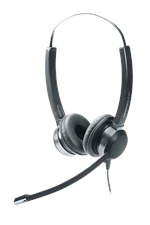 Built-in headset stand and extended battery life; easily switch between phone and computer; volume control with click free mute switch. Plugs into any Sound Blaster compatible PC; analog connectivity. includes AC adapter. For telephone use only, must be used with GN switch ( can be seen in Accessories listings) for PC as well as telephone use. 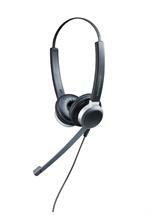 Up to 300-foot range and noise-cancelling mic. Volume, mute and on/off controls on earpiece. Up to 8 hrs. talk time. Encrypted. Kaiser Introductory Group Training Session provide an economical way to maximize results with NaturallySpeaking. Remote Training sessions can be conveniently scheduled at home or office. 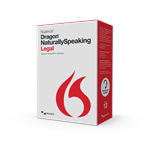 Dragon NaturallySpeaking 13 Legal is speech recognition software that lets users create documents and control their PCs by voice — three times faster than typing — drive new levels of productivity and cost savings. Dragon NaturallySpeaking 13 Premium lets you control your digital world by voice. Transform ideas into text, send email, search the Web, and more just by talking!